Our 16-player Neptune's Pride 2 game has been taking a toll on my freetime and my will to play anything at the moment, so I devoted some time to beta-testing Blackwell Epiphany for Wadjet Eye Games. 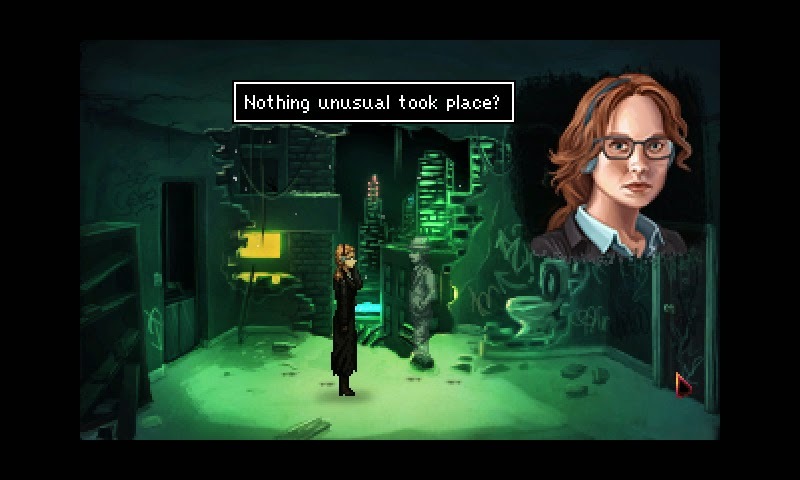 I have never played a Blackwell game before so I had no idea what I was getting into - actually I signed up to beta-test Gemini Rue for the iPad and since then have been on their list it seems. This game is really good though and fits quite well to the kind of gaming I can find time for right now - it's more like interactive television with a strong story and pacing and there are no endbosses, no resource management, no stress inducing timers, just story. It would make a great TV show actually.....come on HBO get on it! I hope it does well. Good luck Wadjet Eye Games!